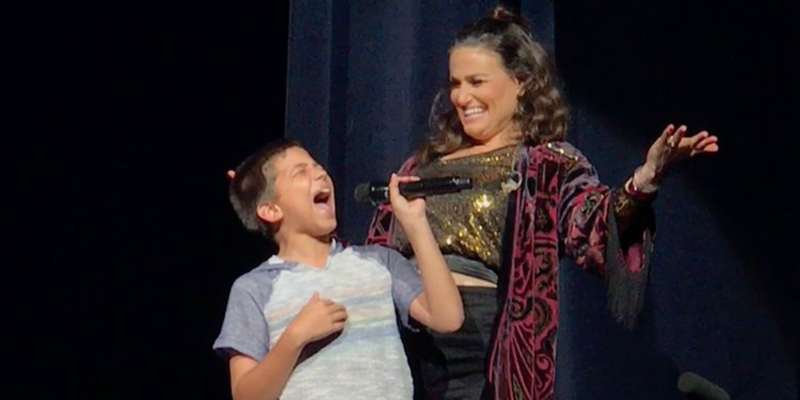 Idina Menzel was left speechless after 11-year-old Luke Chacko wowed her with his insane vocals. Usually during her shows, Menzel brings up a gaggle of youngins – usually girls – to help her sing her hit song “Let It Go” from Disney’s Frozen. In Grand Prairie, Texas, Chacko joined the group and got up on stage, too. 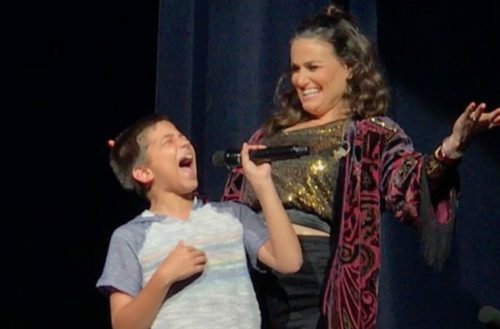 The only boy, Menzel approached him and asked if he knew what song she was performing. A laughing Menzel handed the microphone to Chacko and requested he sing the chorus of “Let It Go.” He blew the audience away with his insane vocals. Menzel even requested an encore, since the audience’s cheers drowned out part of his performance. “You’re very special,” she said when he was finished.